Jack Smith began his career as a magic lantern operator, working a triunial lantern for the lecturer Horace Chester, but afterwards left to join the magician David Devant, who in 1896 bought a Theatrograph film projector from Robert Paul. Smith next became a lantern operator for Walter Gibbons, who in 1898 bought an Urban bioscope projector and began to tour the music halls as the Anglo-American Bio-Tableaux. Gibbons charged £20 a week for his bioscope show, but conditions in the music halls were rather primitive, and Smith later recalled that when projecting films from the circle, 'we used to get some boxes from the bar keeper, build them up between the seats, rope them down and show our pictures, all in amongst the audience'. 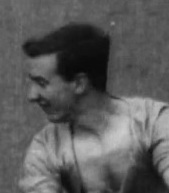 In 1899 Walter Gibbons began to add his own films to the programme, and Smith starred with him in a short comedy film entitled A Morning Wash. In 1900 Robert Paul recuited Smith as sales manager for his new equipment showroom in London, selling both cameras and projectors. Smith also made a number of fiction films at Paul's open-air studio, and was responsible for the company's news filming, personally covering many events including the arrival of the Boer leaders at Southampton in 1902. Smith also visited America, South Africa, Holland, Denmark, and Norway on filming assignments for Robert Paul. In 1907 he left to become manager of the Warwick Trading Company, which was then being run by Will Barker. At Warwick Smith took charge of fiction filming, but he still continued to take news film, providing much of the footage for the London Day by Day feature which Barker was running at the Empire Theatre. In 1908 Robert Paul managed to persuade Smith to rejoin him as general manager, responsible for the manufacture of film cameras and projectors, but by the beginning of the following year he had returned to his old job as manager of Warwick. In 1909 Will Barker left Warwick to establish his own company, Barker Motion Photography, and in 1911 Smith joined him as general manager. On the outbreak of war in 1914 the two men became closely involved with the scheme for official filming at the front, and Barker Motion Photography was one of the seven firms which in 1915 signed an agreement with the War Office and formed themselves into the British Topical Committee for War Films. In 1916 the Topical Committee had its greatest success with the film The Battle of the Somme, and Jack Smith was recruited by Max Aitken (soon to be Lord Beaverbrook) to head the film section of the Canadian War Records Office in London. Smith used the darkrooms at Barker Motion Photography to develop footage from Canadian cameramen at the front, and arranged for its appearance in the official newsreel. When the war finished in 1918 Smith resumed his work as general manager of Barker Motion Photography, but when Barker ended film production in 1921 Smith became general manager of the Williamson Film Printing Company.